2oz. 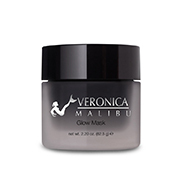 – The Veronica Hydrating Night Cream is a moisture-rich Paraben-free moisturizer for dry, dehydrated skin. 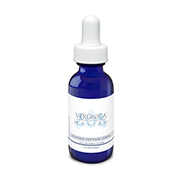 It provides intense, long lasting hydration and protects against free radical damage. It’s natural botanical blend of extract combined with an optimized delivery system helps increase cell membrane fluidity, and keeps skin healthy. Arctic Birch Bark Extract is from the bark of a tree indigenous to the Arctic Region and helps brighten the skin. Maple & Rosewood Extracts are rich in antioxidants and help protect the skin form free radicals. Chamomile Extract soothes and helps calm and comfort delicate skin. Shea Butter helps to improve skin’s moisture level. (Aqua), Squalane, Ethylhexyl Palmitate, Butylene Glycol, Hydrogenated Vegetable Oil, Dimethicone, Glyceryl Stearate, PEG-100 Stearate, Sodium PCA, Simmondsia Chinensis (Jojoba) Seed Oil, Aloe Barbadensis Leaf Extract, Sodium Hyaluronate, Tocopheryl Acetate, Retinyl Palmitate, Ascorbyl Palmitate, Algae Extract, Helianthus Annuus (Sunflower) Seed Oil, Symphytum Officinale Leaf Extract, Panax Ginseng Root Extract, Cucumis Sativus (Cucumber) Oil, Sorbitol, Mannitol, Sodium Chloride, Hydrolyzed Actin, Sodium Glucuronate, Glucosamine HCl, Calcium Gluconate, Chondrus Crispus (Carrageenan), Pentylene Glycol, Glycerin, Sodium Lactate, Lactic Acid, Serine, Urea, Allantoin, Carbomer, Hydroxyethylcellulose, Sodium Hydroxide, Disodium EDTA, Phenoxyethanol, Ethylhexylglycerin, o-Cymen-5-ol, Red 4 (CI 14700). PM Apply nightly to cleansed face and neck, massaging gently using upward strokes.